Editor's note: Shanghai World Expo 2010 offers a valuable opportunity for Australia and China to strengthen existing relationships and develop new areas of cooperation, said Lyndall Sachs, commissioner general of the Australian Pavilion, who talks about the pavilion and world Expo preparations with China Daily reporter Wang Zhenghua. Q: What are the Australian pavilion's structural features and main attractions? 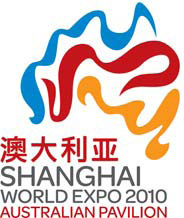 A: The scale of Australia's participation in the Shanghai World Expo 2010 is unprecedented. Never before has Australia invested in such a striking, purpose-designed building, such technologically advanced and engaging exhibits and such a comprehensive program of cultural performances. From the outside, visitors will be struck by the deep red-ochre color of the building. The special weathering steel, which has oxidized over the past several months in response to Shanghai's climate, evokes urban environments and is also a tribute to the ancient desert landscape, or "red center", of Australia. Inside the pavilion, visitors will be welcomed by our team of bilingual, Australian pavilion attendants, who will guide them through the first element of our visitor experience - a 160-m-long, glass-enclosed ramp that wraps around and penetrates the exterior skin of the building. Along the ramp, five engaging and distinct exhibitions will introduce Australia's history, culture and people. From the top of the ramp, visitors will enter a 1,000-person capacity theater in the round, which houses the pavilion's main show. This spectacular audio-visual experience in cutting-edge technology will feature stunning images of Australia, all filmed especially for the Shanghai World Expo and shown in a format never seen before. After the show, visitors can enjoy the sights, sounds and tastes of Australia in the spacious atrium, home to food and refreshments, and importantly, exciting cultural performances by aerialists, musicians, dancers and much more. Q: What message does Australia want to send to visitors at the Shanghai Expo? How do you understand the Expo's theme of "Better City, Better Life"? A: Our aim is for visitors to learn new things about Australia and to gain a better understanding of the depth and diversity of our lifestyle, our culture and our people. The pavilion is designed to inspire visitors' imaginations through spectacular images, going beyond many of the stereotypes associated with our country. In addition to the familiar - the beaches and kangaroos - we will reveal Australia as a dynamic, forward-looking nation created through the efforts of imaginative and talented people. The "better city, better life" Expo theme gives Australia a great opportunity to show visitors why our dynamic modern cities have come to be ranked among the most livable in the world. Our exhibitions will showcase our sophisticated approach to resource and environmental management, and the smart urban planning, architecture and design, some of which, thanks to the Beijing Olympics, Chinese audiences are already familiar with. Q: Could you elaborate on forums, exhibitions, promotions and other activities to be held in the pavilion? A: In addition to entertaining and informative exhibits, the Australian pavilion will feature a diverse cultural program including daily performances, a major national day concert and a comprehensive business program of around 200 events. The core elements of the pavilion's cultural program will be held in the atrium. Here, our resident group of aerial artists will perform several times a day, engaging audiences in a humorous and colorful performance inspired by the Great Barrier Reef. Visiting artists, drawn from every Australian state and territory, will also perform on the atrium stage in an ever-changing and exciting program of music, dance and physical theater. Overlooking the atrium, a 250-sq-m VIP space will host the pavilion's business program. This series of more than 200 events throughout Expo will include targeted seminars, high-level visits by senior government officials, business networking events and trade and investment promotion activities, and will provide a valuable platform for showcasing Australian creativity, innovation and commercial capability. Q: What hi-tech and green technologies are used in the pavilion? A: In addition to the cutting-edge technology used in the main show, the pavilion itself features several examples of green products and technology. The interior paint, provided by Orica/Levene, is solvent-free and does not emit toxic fumes, and one of the flooring products used in the pavilion is made of recycled bamboo. Lend Lease, which sponsors the pavilion, is also providing green initiatives in the pavilion such as rainwater harvesting and smart lighting. The pavilion will also feature a carbon-calculator, an interactive display that will show visitors how the development of green buildings, and the green refurbishment of old buildings, will make buildings healthier places to live and work and reduce the carbon emissions from cities around the world. Q: What is the budget for your involvement at the Shanghai Expo. How will the event promote the bilateral relations between China and Australia? A: The Australian Government has made the largest-ever commitment to a World Expo to match the unprecedented scale and scope of Shanghai World Expo 2010 and to ensure that Australia's presence reflects the importance of the bilateral relationship between Australia and China. The AU$83 million investment includes construction of the three-story pavilion built on a 4,800 sq m site; the design and production of exciting exhibitions; a dynamic cultural program; a targeted business program; a comprehensive communications program; and the team of bilingual pavilion staff. Through each of these aspects of our involvement, we will highlight the many close ties that already exist between our two countries, and will explore new areas for cooperation and exchange. Q: Please share with us your plans for an online Australian pavilion. A: The Australian pavilion launched its bilingual website (www.australianpavilion.com) last May as the primary venue for Chinese and Australian audiences to keep up to date with our pavilion's progress. The Australian pavilion will also have a strong presence on the Expo Bureau's "Expo Online" platform and we look forward to welcoming online visitors through our virtual doors when the full site is launched on May 1. Q: How visitors will be greeted by pavilion's mascot Peng Peng at the Expo? A: Our mascot Peng Peng is an important part of life at the Australian pavilion, as well as during the lead-up to opening day. In the coming months, Peng Peng the kookaburra will begin making regular appearances in and around Shanghai - something for China Daily readers to look out for. Peng Peng will be at the Australian pavilion regularly, welcoming our visitors as they arrive, posing for photos with them, and sharing his cheery chuckle with people of all ages. When Peng Peng isn't around, visitors will still be able to enjoy him through the range of Peng Peng merchandise available at the Australian pavilion gift shop. Cast member Jessica Alba attends the premiere of "The Killer Inside Me" during the 2010 Sundance Film Festival in Park City, Utah January 24, 2010. Celebs answers the phone during the "Hope For Haiti Now: A Global Benefit For Earthquake Relief" telethon in Los Angeles. When monetary concerns is the determining factor in all personal and especially governmental decisions Humanity and decency is often left behind.